Black Magic Woman, Carlos Santana, DNA Entertainment, Entertainment, Greatest Hits Tour for India, Hollywood, India aspires. India has taught him "aspirational" philosophy. 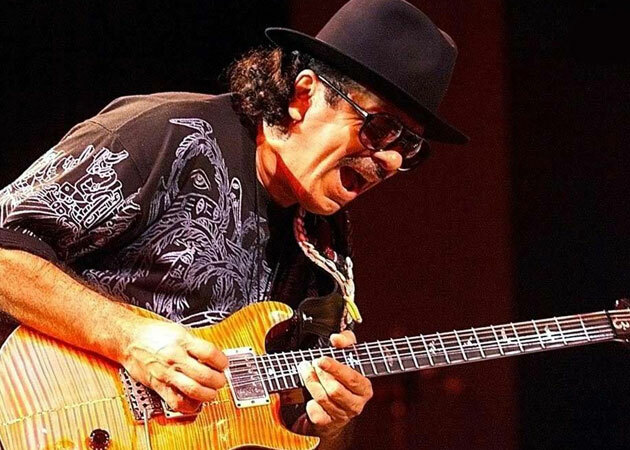 Now, when legendary guitarist Carlos Santana is set to perform at the Formula One Rocks concert, the Mexican-American musician feels "honoured" to take the stage in a country that has inspired him in many ways. "He feel inspired, grateful and honoured indeed (to perform in India). The west desires, while India aspires. Aspiration is when you want attraction, he have learned this philosophy from India. This is something they greatly need in the west," Santana, who is on a world tour right now. The 65-year-old, who is being brought here by event management company DNA Entertainment, will headline an international act at F1 Rocks on October 28. He says that he play things from yesterday, today and tomorrow and something that people remember. Talking about his India performance. "It is a two-and-a-half-hour journey across collaborations. With an entourage size of 35, the performance will encompass and showcase a 'Greatest Hits Tour' for India." He rose to fame in the late 1960s and carved a niche for himself by playing bluesy guitar riffs set against Latin and jazz fusion. Black Magic Woman was the song that won them recognition. He is also known for chart-topping collaborations with pop and rock vocalists. He collaborated with Rob Thomas of Matchbox 20 for Smooth, Put your lights on with Everlast, and Maria Maria with The Product G&B. In his decades-long career, Santana has sold more than 100 million records and has won 10 Grammy awards. He was honoured with the Billboard Latin Music Awards 2009 Lifetime Award and the Billboard's Century Award and has been named among the '100 Greatest Guitarists of All Time'. Talking about his inspiration. "All artists go into the invisible realm to bring visuals of imagination and make it tangible. It is the purity of innocence, the complexity of simplicity." F1 Rocks is a distinctive musical event that happens during Formula 1 events across the world. Tickets are priced at Rs 3,500 (general stands) and Rs 10,000 (VIP Platinum Lounge). Santana's latest album, Shape Shifter is the first for his new label, Starfaith Records. The 13 song set is an instrumental tour de force long-awaited by fans. Tags # Black Magic Woman # Carlos Santana # DNA Entertainment # Entertainment # Greatest Hits Tour for India # Hollywood # India aspires. Labels: Black Magic Woman, Carlos Santana, DNA Entertainment, Entertainment, Greatest Hits Tour for India, Hollywood, India aspires.